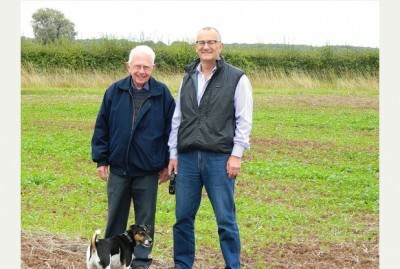 Wheatley Energy Forum’s John Anderson and Dave Langmead can hardly disguise their justifiable glee as wind farm plan scrapped. Rural communities across the Globe are fighting back against an industry with all the natural respect for property rights of Genghis Khan; and the moral fibre of Judas Iscariot. These days, whenever a wind farm is proposed; or the developer is out in the field – literally ‘thumping’ its message home (see our post here) – the term most employed to cover the community’s response is ‘OUTRAGE’. However, occupying the opposite end of the emotional spectrum, is the infectious, fun-filled term: ‘REJOICE’ – which is the only word powerful enough to capture the sense of victory and relief, for those who have spent thousands of relentless, unpaid hours dedicated to the defence of their communities, their homes, their farms, their businesses and their families. ← Aussies Not Going to Force Wind Turbines on Communities….For Real? ?